There is so much to think about when selecting your prefect dress and believe me the details that haven't even crossed your mind yet could end up being the deciding factor in choosing on THE ONE! As eyes are on the bride whilst you gracefully trot past your guest, then attention rests upon the back of your dress (and of course the groom but that isn't nearly as interesting as you) whilst the legal & pinnacle of the ceremony takes place. So what do you want your guests to see? 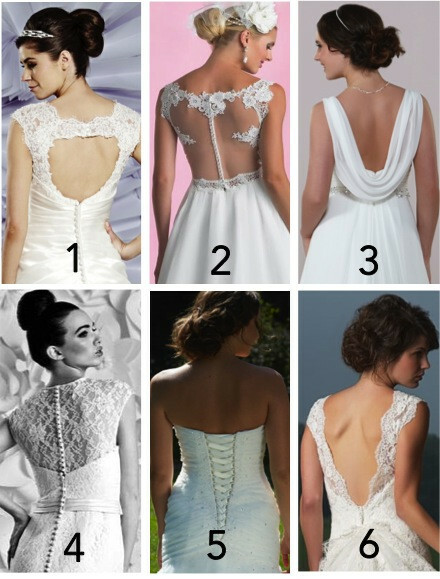 Check out a few new & popular ideas for back details, there may be some you haven't even considered. All dress images are from our current collection as of March 2015.